I’ve purchased an Industrial Relay Controller 4-Channel Board and purchased a 900HP-S3B Digi radio interface. I will use this combination in my existing Digi Mesh network. My network operates in non-escaped API mode. I expect to send API frames to the Relay Controller/Xbee which will then implement relay activity. Please tell me where I can obtain documentation that describes control of the relays via the 900HP-S3B. I need to learn the format of frames to transmit to the Relay Controller/XBee. If you’re already familiar with the S3B packets then it should be fairly straightforward. If you’re not, we recommend reading Digi’s Digimesh documentation. Do you have a model number or a series for the board you have? What language were you planning on writing the software in? I have these radios installed on my custom boards. I write C-language software on my custom boards. This will create API frames for my radios. I will use C-language software to create a Transmit Request Frame (0x10) which will carry the MAC address of the radio mounted on your relay board. Software will send this Frame to my radio. 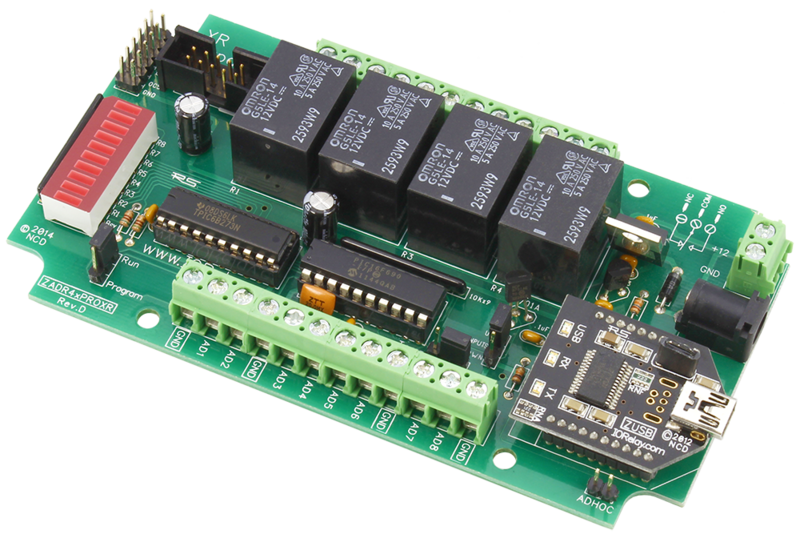 Magically by 900 MHz radio waves the frame will arrive at radio on your board, which will then implement relay control using hardware and software on your relay board. 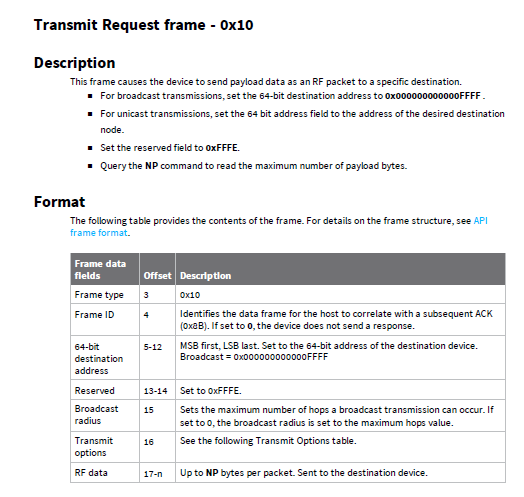 A Transmit Request Frame carries a RF Data Field of variable length. I expect that this field will carry the instruction to your relay board to tell it which relay to turn on/off. I seek a definition of what your board expects the RF Data Field to contain. Or maybe the plan I’ve outlined above doesn’t fit your radio and board. Please supply your plan if so. Yes that sounds feasible, I’m just not sure which relay controller you have. Different series of relay controllers may expect different commands. The documentation that outlines the commands can be found under the resources tab of those individual products. There is a Communications section. I see Digi 802… document. This is NOT the Digi radio I purchased but is the closest entry in the section. I review this info and I find info concerning using your Base Station software with this radio and relay board. I will NOT be using Base Station. 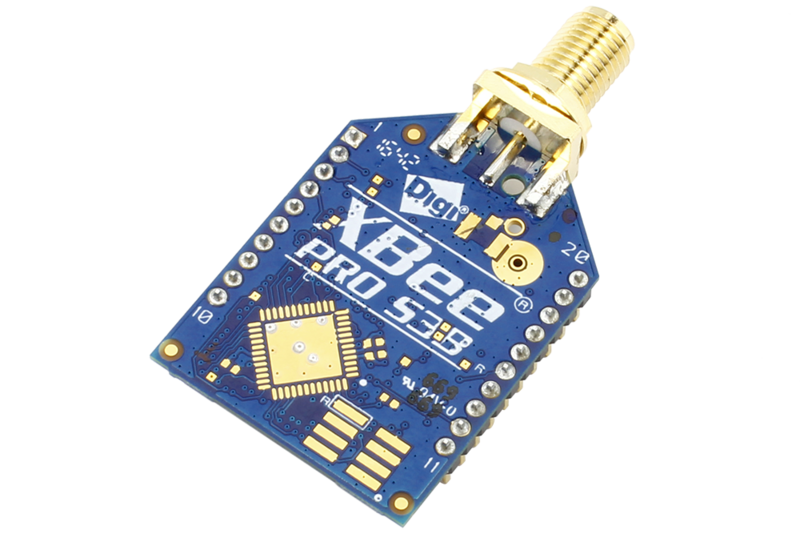 I will send commands from my custom circuits using other Digi XBee radios. I need lower level information than what is supplied for using Base Station. Please help me by directing me to a specific document. I have purchased 1 board. It is for evaluation. If it works I will purchase additional boards at roughly 100/yearly rate. So once you’ve got the Digi S3B Digimesh frame API down you can start using that to send commands outlined in the ProXR Quick Start Guide (actually an in depth command set) and the API Codec Quick Start Guide (explains the API encoding wrappers). Here’s a library you can use as a basis: https://github.com/ncd-io/Industrial-Relay-Control. Its written in Python, but its probably the easiest one we have to read. Honestly I would probably recommend a ZigMo or equivalent for a setup like this. The ZigMo is basically a USB to Wireless adapter. It would allow you to see exact byte values being sent by your devices. It will also allow you to configure your modules for encryption, transparent mode, etc. Sorry, can’t use this suggestion. I will integrate your board into a DigiMesh network of sensing. Sensors have Digi radios on them. Your board will mount in customer’s electrical cabinet and be used to signal customer’s contactors which will then start and stop heavy equipment. Sensing will send instructions via DigiMesh to your boards thereby giving sensors the ability to control customer’s heavy equipment. The application is similar to ventilation: Not enough air sensed - turn fans on until enough air is sensed. I send the above to my radio, it flows through the 900 MHz DigiMesh to your radio, and the relay closes? That looks accurate, but I’m not an expert on Digi’s API. I’ve only ever used their libraries which hid most of that. The command you’re sending in the frame generator is the 254 100 0 command which will deactivate the relay. It may help in initial testing. OOPS, my mistake. Correct your documents show FE 64 00 turns relay 1 OFF, not ON as I wrote above. Difference aa is the Digi Frame ID. These are just frame tags so software can sort out returned frames if multiple frames are used. Difference bb is are the Digi frame transmission options. You chose point-multipoint, I chose an invalid option. Difference cc is just the different checksum owing to the different choices you and I made. Simple! Thanks for making the communication via DigiMesh clear. I have follow-on question which is appropriate in this thread. Our previous discussion involves sending your relay board a command to turn Relay 1 OFF. I learned where the basic command is, how to encode it into your API and then how to encode this into the Digi XBee radio API as a TX Request. I see I must send 254 150 after appropriate wrapping in your API and the Digi TX API. I’ve shown this wrapping method in example in the the previous communications. I expect this to arrive at my radio in a Digi API, which I can unwrap. My concern now is how your relay board routes the return to me. I expect that your board will use DigiMesh and that it will use the Digi Transmit Request method of sending. In this case your relay board must know my radio’s address. How does the relay board obtain this address? How does it know where to send? Unfortunately the on-board processor doesn’t take this into account and will send the data to whatever the lower serial address is configured on the attached S3B module. By default it will broadcast (0000ffff) so everything on the wireless network will get the response. If you only ever need to access that board’s responses with just one “master” device then you can set the S3B module on the relay controller to use the master’s lower serial. Also you’ll get the data in the serial buffer of the “master” device if that’s also part of the question. In fact each relay control command will send a response that should be read to make sure it went through successfully. We also recommend reading the response to make sure the device is actually ready for another command and not still processing the last command. The Digi Radio is a complex bit of hardware. In this reply I’ll attempt to translate your “whatever lower serial address is configured” into a definite feature in the Digi radio (S3B module). 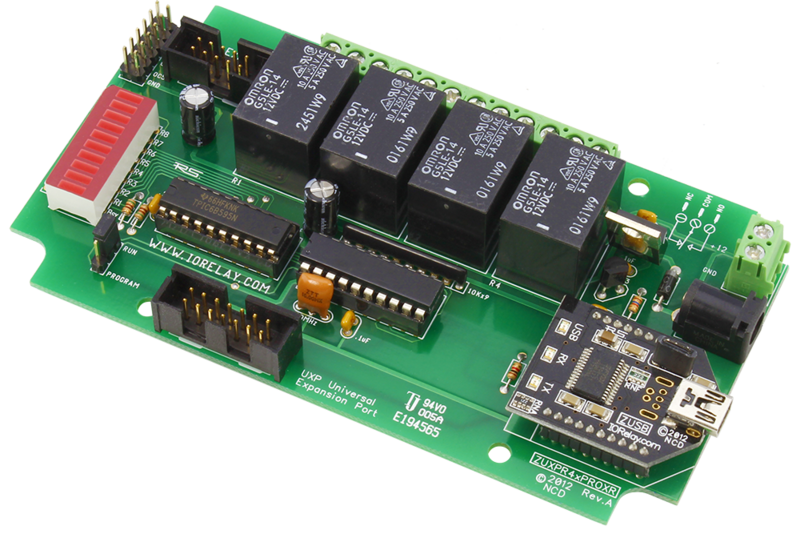 Your relay board software could operate in transparent mode or in Digi API. I assume that it uses API from the discussion above concerning wrapping relay commands. Which of these methods do you use? Once I know the method I’ll dig deeper and ask questions on how you obtain the destination address in the context of the method. The relay board will operate in Transparent mode actually. The on-board processor sends a raw serial transmission without any S3B consideration out over serial to the S3B and the S3B wraps it up and transmits it. The destination address lives on the S3B module itself and can be configured using X-CTU. I’ve done a little hunting with Digi Tech support. I’ll put what I’ve learned here for posterity. I’m building a system of buoys to make measurements and relays to control equipment. These will communicate via DigiMesh using XBP9B-DMST-002 radios. scroll mostly down to the bottom and you’ll see your radio. This board is a good fit in my system. I’ll use it to switch customer equipment on/off based on buoy sensing. My plan is that the buoy will send commands by buoy Digi radio to relay board Digi radio. Relay will open/close. But my buoy uses API mode. The relay uses Transparent mode. Bummer! The relay board generates a response for every command it receives. The buoy will know the MAC address of the relay board radio. Will the relay board, DigiMesh, in transparent mode receive a TX Request (0x10) from the buoy? If NOT, what can be done? Will the relay board response arrive back at the buoy? What frame will this response arrive in? AT / Transparent mode and API mode only refer to the way in which the module interacts with the device connected to the module’s UART. There are many networks in use that have an API master and AT/Transparent slave nodes. This is probably the most common setup we see. In your case, having a mixed AT/API network should be fine. 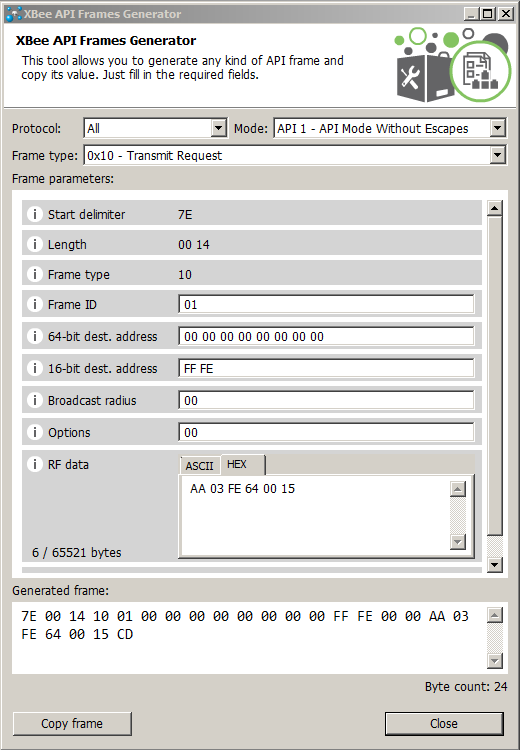 A 0x10 frame send from an API transmitter will be received by the intended AT or API receiver. Once in the air, the packets are basically encoded in the same way. Q: Will the relay board, DigiMesh, in transparent mode receive a TX Request (0x10) from the buoy? Q: Will the relay board transparent mode response arrive back at the buoy? A: As long as the DH/DL of the transmitter in transparent mode matches the SH/SL of the receiver, then yes. Q: What frame will this response arrive in? A:The response will arrive as a Receive Packet frame 0x90.